Long before you’re ready for your child to have a phone, you can expect the begging to begin. Cell phones have become a ubiquitous device in our society, even for many tweens. When it comes down to it, many parents OK a phone purchase when they realize it will make it more convenient for them to communicate with their kids about pickup arrangements, cancelled sports practices, and other daily schedule changes. If you’re contemplating your child’s first phone, think seriously about creating a device contract with your child. A device contract won’t prevent a child or teen from making mistakes—that’s part of learning! But it will help set expectations, smoothing conversations and interactions about the phone. Talk with your child to set hours for phone usage. Many parents set earlier phone curfews on weeknights, and even take the phone to charge overnight somewhere outside the child’s bedroom, preventing late-night texting temptations! 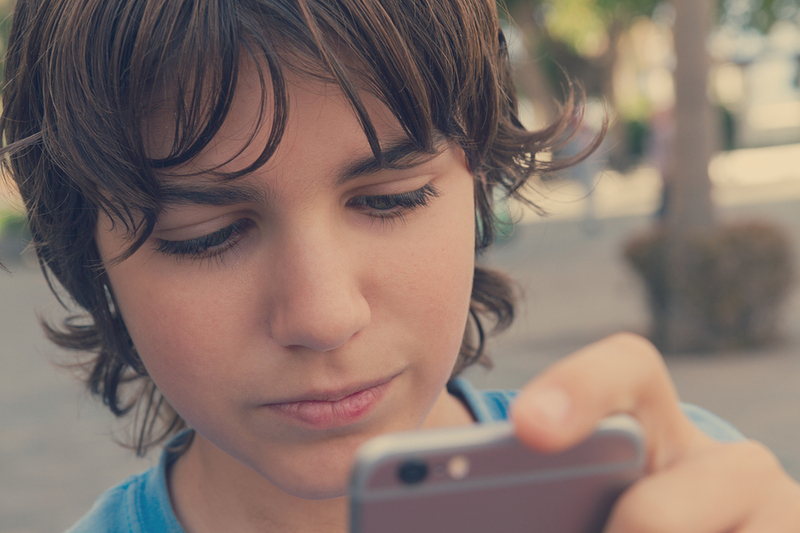 Regularly review your child’s texts, who they’re calling, and what apps they’re using. If you see your child using the phone responsibly, you can lengthen the intervals between checks as you feel comfortable. It’s the child’s responsibility to keep the phone charged, turned off when it should be, and turned on when it should be. Learning phone manners is an important part of owning a phone. List the times it’s OK to use a phone (for any reason: calling, texting, reading, playing games) in your family, and when it’s not. Outline the consequences for breaking the rules. Essential: Follow through immediately when they do! Don’t expect your child to have perfect phone manners at first. Decide what’s worth a gentle reminder…and when your child loses the privilege of using the phone for a period of time. Like anything else, helping your child navigate safe and appropriate device usage is a process. With a great contract and open communication, you can help your child learn to use a phone responsibly—as well as enjoy fun games and chats with friends.